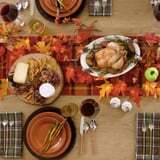 Friendsgiving is just around the corner, and the perfect way to set the tone for an unforgettable feast is by creating an inviting tablescape for your squad. Autumn is the ideal season for playing with patterns and bringing the outdoors inside, so why not get creative by interweaving refined and rustic accents on your tabletop? From decorating with plaid placemats and garlands of leaves to whipping up a miniature apple pie recipe your friends will drool over, take a peek at our video to discover ultrasimple tips for planning a truly inspiring Friendsgiving fete. 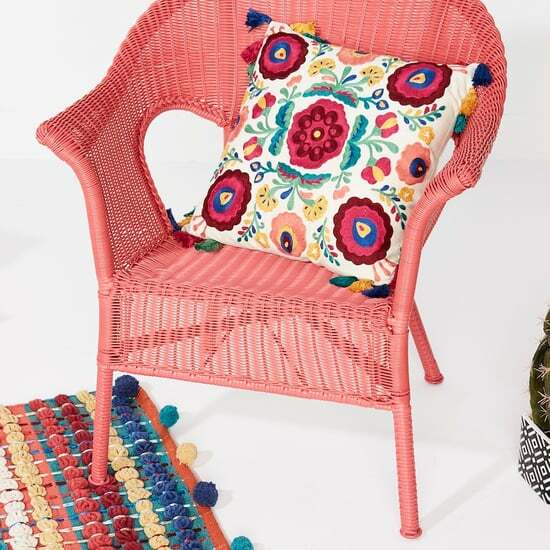 To shop the items shown in this video, click here or visit your local Pier 1 Imports store. We've partnered with Pier 1 Imports to share simple decor tips for creating cozy, chic ambience at your 2017 Friendsgiving fete. 1. Set oven to 375ºF. 1/2 inch of flesh around edges and bottom. 3. Remove skin from 2 additional apples and finely chop. These will be for the filling. lemon juice, and butter to make filling. 6. Spoon pie filling into the scooped apples, all the way to the top. 8. Brush all exposed crust with egg wash, and sprinkle liberally with coarse sugar.